CoinCorner has been helping people to buy Bitcoin since 2014. Cryptocurrencies like Bitcoin are changing the way we think about money - so, wherever you are in your journey, we’re here with quick, easy and trusted Bitcoin services. 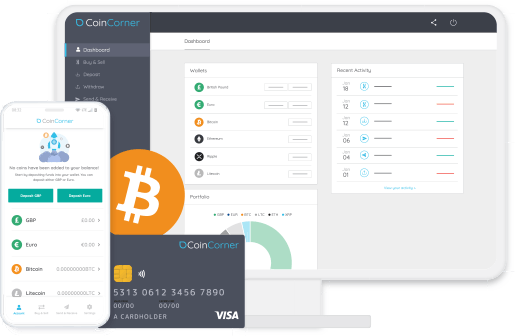 Why buy Bitcoin with CoinCorner? CoinCorner lets you buy, sell, and manage your cryptocurrency portfolio using a range of simple and easy-to-use features. We’re trusted by customers in more than 45 countries around the world. Start buying and selling Bitcoin with GBP or EUR today! Buy Bitcoin with credit card, debit card, bank transfer, SEPA, or Neteller. Download the CoinCorner app and get access to your account wherever you are. Available on Android and iOS. Coming soon! Our Visa debit card will let you pay for everyday goods and services with Bitcoin. Shop anywhere, anytime. Whether you’re new to Bitcoin or have been involved for a while, you’ve come to the right place! We’ve been helping people to buy Bitcoin since 2014, making us one of the longest-established Bitcoin exchanges in the UK. If you have any questions along the way, our friendly customer support team is available to help via live chat or email. You’ll find that our website has a lot of useful resources too, from our Help Centre to educational resources in the Learning Centre. Bitcoin is a digital currency that people send over the internet. It’s described as ‘decentralised’ which simply means that no central authority (like a Government or financial institution) controls it. Using Bitcoin has a number of advantages over traditional fiat currencies such as GBP or EUR. Known as a global currency, Bitcoin has the same value in every country and can easily be transferred from person to person no matter where they are in the world! People use Bitcoin as a payment method, store of wealth, and to send money back home (known as remittance). Did you know that you can earn money by recommending us to your friends and family? Known as an affiliate program, this is a great way to make a little extra money on the side and to share your interest in Bitcoin with the people you care about. 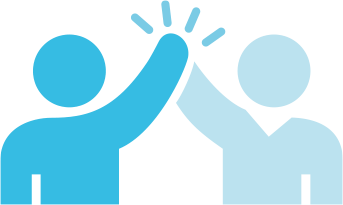 As an affiliate for CoinCorner, you’ll be rewarded with £10 (or the EUR/cryptocurrency equivalent) for every friend you send our way, how cool is that! It’s easy and only takes a few minutes to sign up for a free affiliate account with CoinCorner. Sign up and start earning money today! Do you have any questions about Bitcoin or our services? That’s great! We love to hear from our customers and hope that these popular FAQs help to answer any initial questions on your mind. How long will it take me to buy Bitcoin with CoinCorner? It takes minutes to buy Bitcoin with us. We’ve worked hard to create a simple and easy sign up process. As soon as you’ve made an account, you can fund it with fiat currency and use this balance to buy Bitcoin. What payment methods are available with CoinCorner? All the popular options are available! We support a number of major payment methods, including credit and debit card, bank transfer, SEPA and Neteller. Do I need to supply any documents when I sign up? When you sign up for an account, you won’t need to supply any documents*. We offer new customers the chance to buy up to £9000 / €1000 Bitcoin before photo and I.D. documents are requested. *If you fail any of our automated checks you may need to supply documents before purchasing Bitcoin. Why do I need to give my personal details? CoinCorner is an IOMFSA registered company and we follow rules which require us to ask for standard personal details such as name, email, date of birth and address. These are used for compliance purposes. Can I transfer my Bitcoin with CoinCorner? Yes, you can! 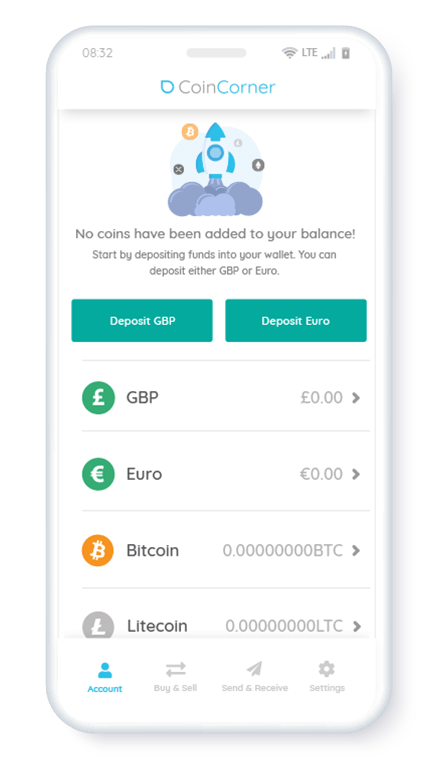 Unlike companies such as eToro and Revolut that only offer ‘exposure’ to Bitcoin and no withdrawal options, CoinCorner lets you buy, sell, send, receive, store and transfer your Bitcoin. Whatever you want to do with it, you can do quickly and easily. 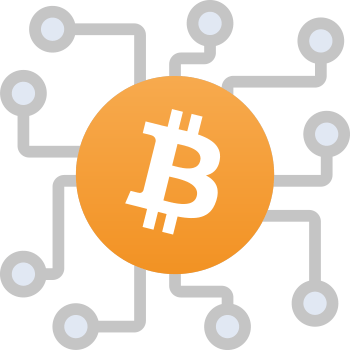 We recommend that customers consider transferring their Bitcoin to offline (cold) storage for safe-keeping. For more help, visit our Help Centre.